No Realtor Fees, Easy and stress free. John Will Put More Cash In Your Pocket! We Buy Tampa Houses “As-Is”, Can Pay Top Dollar, and Can Close On The Date Of Your Choice! John Will Pay You The Most CASH for your House! 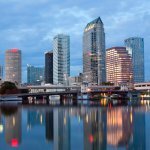 Do You Need To Sell Your House in Tampa? Even if an agent can’t sell your house, we can help. Follow John Whitmore On Google+ For Real Estate Investing Tips, Helpful and Interesting Articles and All Things Related To Real Estate Great Information For Anyone! Our experience was excellent! We contacted John about buying our house which was in foreclosure. He answered right away and came out that day. Him and his company was very professional and they were able to get me to move on with our house. He helped me find a place after as well and went above and beyond. We are a real estate solutions and investment company that specializes in helping homeowners get rid of burdensome houses fast. We are investors and problem solvers who can buy your house fast with a fair all cash offer. John Whitmore Is A Licensed Real Estate Agent In The State Of Florida.